Circa 1942-1959: The teacup may have been the second piece Frederick Rhead designed for the Harlequin line, establishing the angular handles, art deco draping and placement of concentric rings. 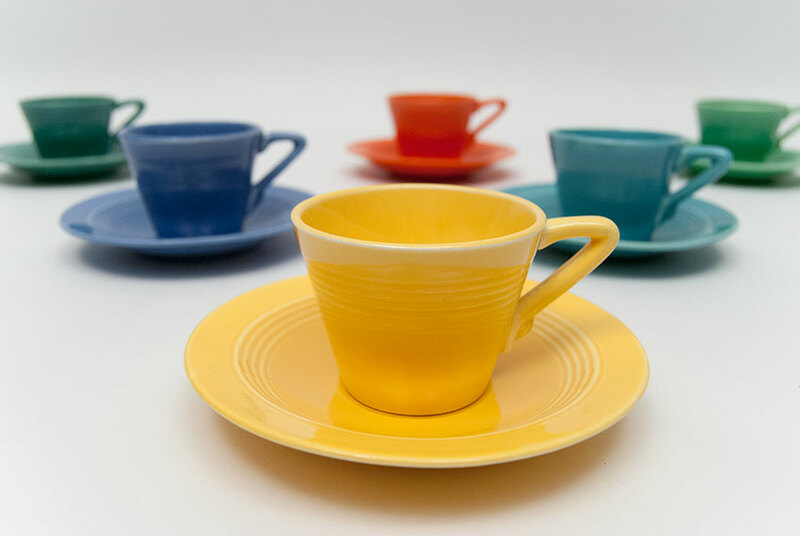 With these elements it would have been easy for Arthur Kraft to adapt them into a smaller version for the demitasse cup and saucer set. 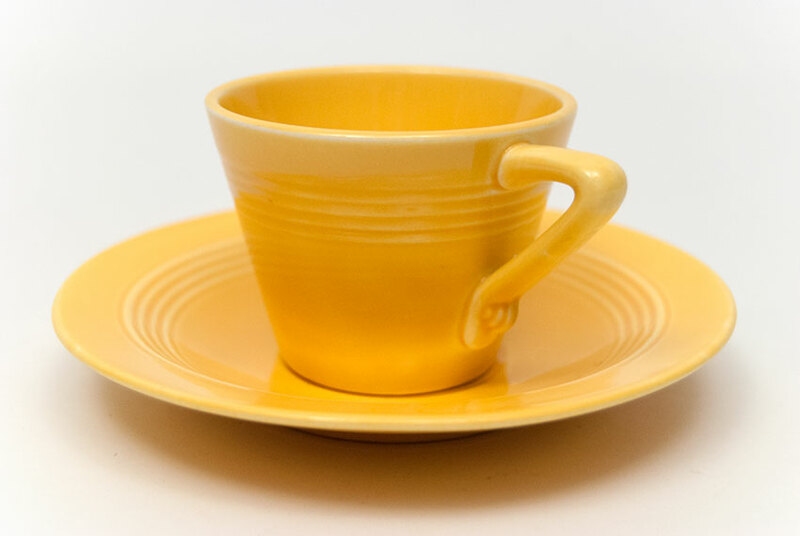 Measuring a mear 2" high and 2 3/4" wide, the Harlequin demitasse cup and saucer set could easily substitute for a childhood teaparty. 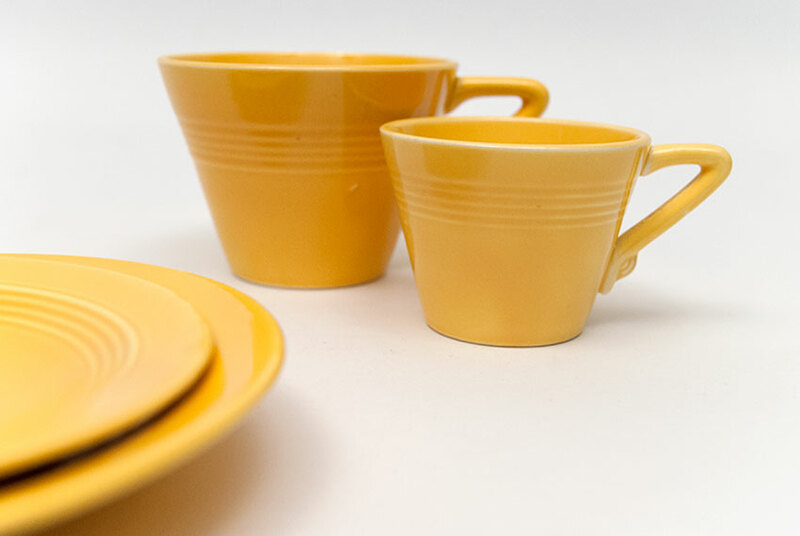 Available in all twelve colors. 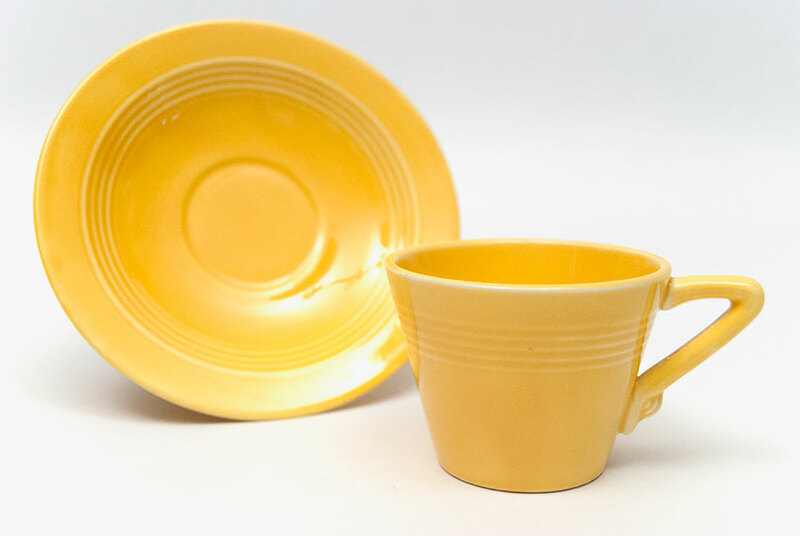 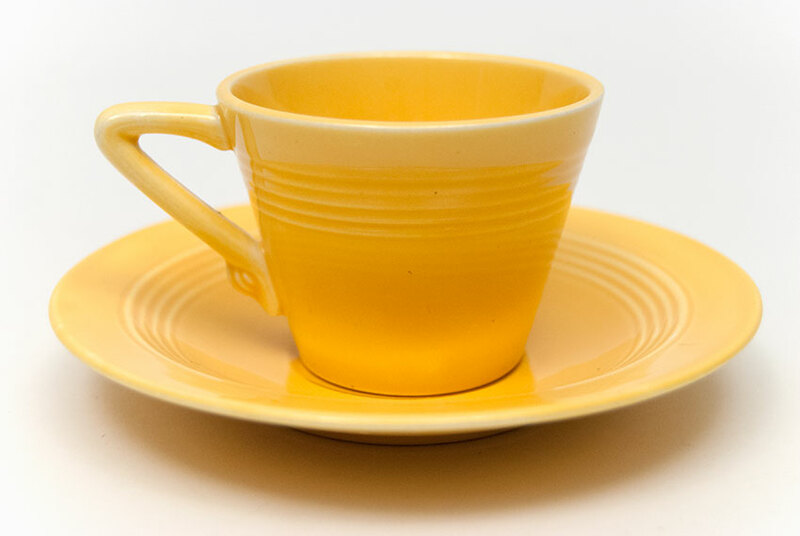 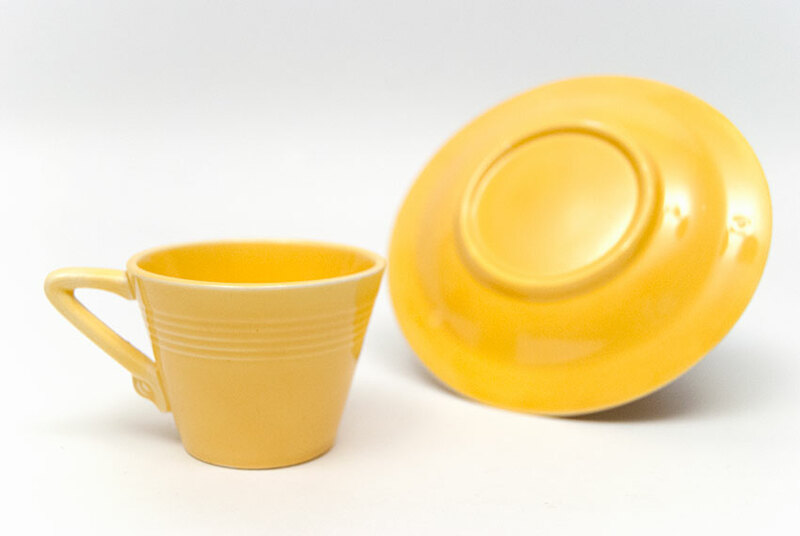 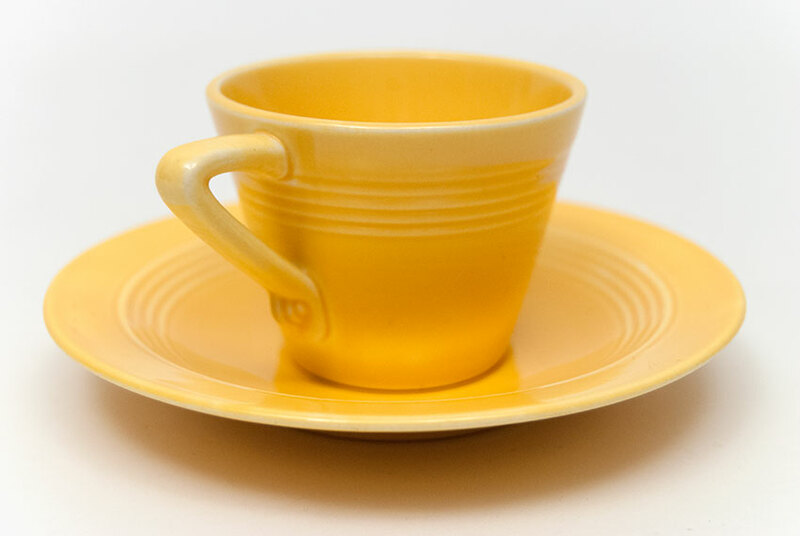 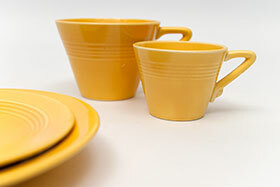 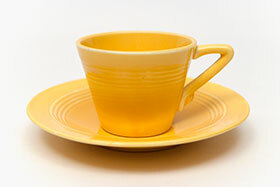 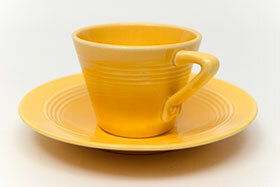 This example in the original Yellow Fiesta glaze is in excellent condition without damage.